Listen what the Center for Precision Medicine is all about! A brief introduction by the Center Director, Dr. Michael Olivier. 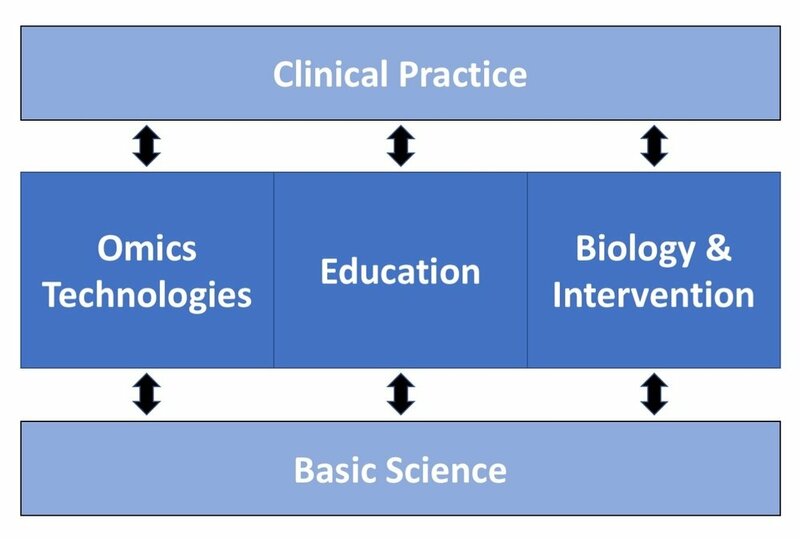 The Center for Precision Medicine consists of three major components: A research emphasis focused on Omics Technologies (genomics, proteomics, metabolomics, bioinformatics, and others), a second applied research emphasis focused on Biology & Intervention that will help translate Omics findings into clinically usable diagnostic and treatment decisions, and an Education focus that will advance the understanding of the concepts and opportunities of Precision Medicine for researchers and clinicians. The work at the Center for Precision Medicine will help connect Basic Science with Clinical Practice across the entire Wake Forest School of Medicine and its affiliated institutions. Dr. Wei Zhang, Professor of Cancer Biology, Wake Forest Baptist Health Comprehensive Cancer Center Director of Cancer Genomics and Precision Oncology.